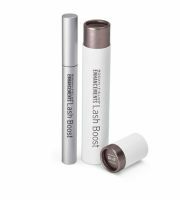 I had a terrible experience using the lash boost. I applied as directed and the next morning I woke up with blood shot eyes. I tried using the products for 2 months with breaks in between. Every time I'd wake up with blood shot eyes and my eyes would burn for days straight. This product is awful! Yes, my lashes grew, but the pain isn't worth it. I have been using LashBoost for several months. You start to notice a difference in about 30 days, then a bigger difference after 60 days, and a HUGE difference in 90 days! My eyelashes were so short before and now they touch my eyebrows! This stuff has even helped my eyebrows grow back in from over-plucking. yay! It's regrowing my eyebrows too! Back in February, I saw a picture of my best friend on FB (we don't see each other in person often), and I noticed that her eyelashes looked crazy long and a bit wild. I asked her if she got lash extensions and she said she'd been using this product for about 3 months (she's also a distributor, but I've never bought anything from her). I saw her again in April, and this time her lashes were stil...read morel long, but also full and uniform (not wild like before). I swear it looked like she was wearing false lashes! I decided to pull the trigger and buy some for myself. I've been using it since the end of April (about 2 months). My lashes were already long, so not much of a change there, but they do seem fuller (they were a bit sparse before). The biggest improvement is my eyebrows!! I asked her if I could use the product on my brows and she said many women do and they see results. I'm in my mid-50s and my eyebrows were literally disappearing (age related? Not sure). They are growing back! For this alone, I'll keep buying this stuff. Highly recommended!